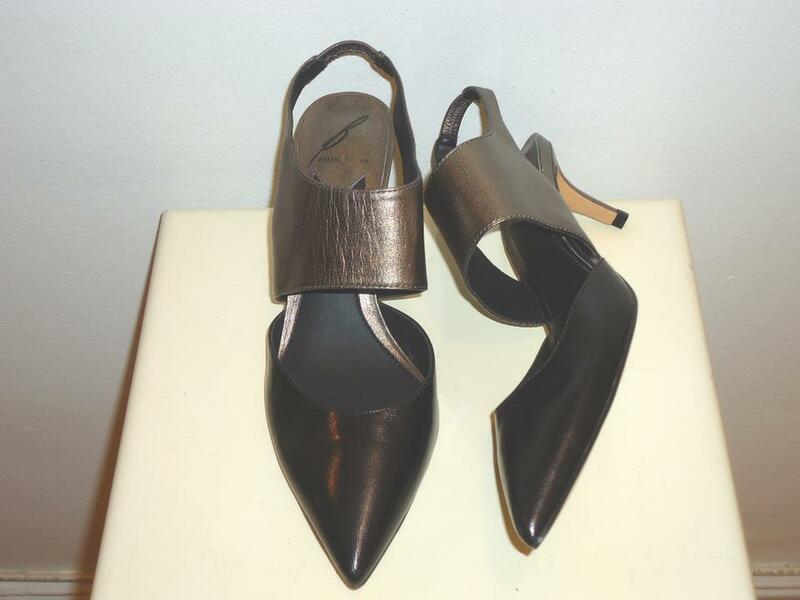 Brand new pair of Brian Atwood leather low heel shoes. 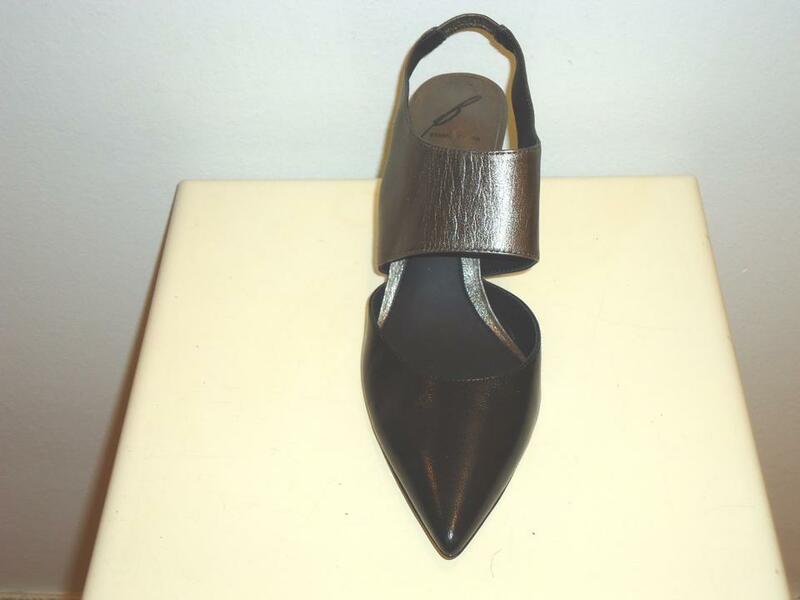 These shoes are designed with pointed toes, have a banded upper and elasticized sling backs. 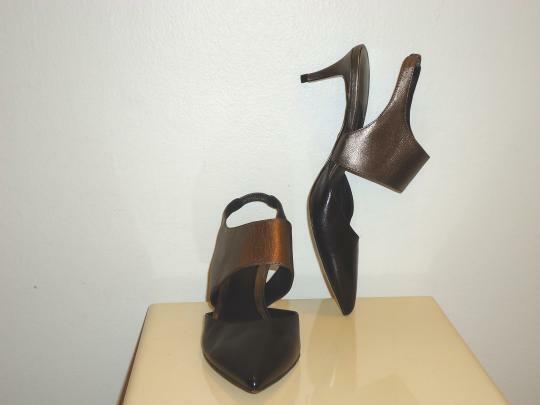 The leather covered low heels measure a comfortable low 2 1/4 inches.